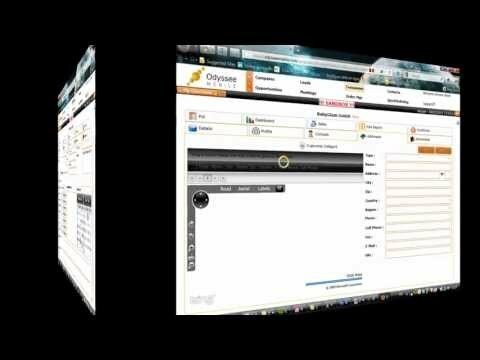 Odyssee Mobile Sales not only allows you to do order entry at the customer with a full featured offline catalog, accurate stock situations and customer prices, but also gives you a full dashboard overview of your individual sales activities or from the complete Sales Team if you are the sales manager. With a centralized calendar and a visit report tool, track the number of times a customer is visited, use visit frequencies to rank customers and let the call planning make suggestions who should be visited first. Finally, synchronize all data from and to your ERP. Send orders directly through to the ERP for shipping and get the updated stock situations. Odyssee Mobile also allows you to handle Sales organizations and Territories, allowing to handle sales teams per Organization/Territories, and also prices, item channels and much more. As a cloud solution, Odyssee Mobile is scalable from a few users till 1000+ teams. Read the success stories on our website and just start today! A case for holding the tablet is needed when using the scanner. License subscription and renewal on a monthly/annual basis. No implementation costs as it is a cloud solution with a webportal and automatic download of the offline mobile client. Integration with any ERP can be done by you using the API or Odyssee Connect. Below are some frequently asked questions for Odyssee Sales. Q. What type of pricing plans does Odyssee Sales offer? Q. Who are the typical users of Odyssee Sales? Q. What languages does Odyssee Sales support? Q. Does Odyssee Sales support mobile devices? Q. Does Odyssee Sales offer an API? Yes, Odyssee Sales has an API available for use. Q. What other apps does Odyssee Sales integrate with? Q. What level of support does Odyssee Sales offer?